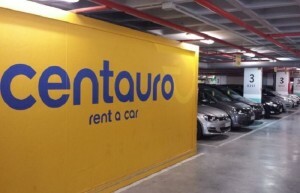 Centauro car hire in Javea, Spain. Do you need a car hire from Centauro in Javea? Then you can use our search engine for rental cars below and get the best price on your rental car. 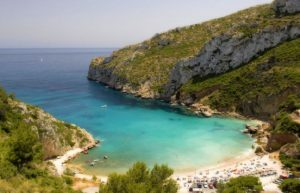 Compare offers from Centauro and the other car hire companies in Javea in one simple search. Centauro is one of the largest car rental companies in Spain, with more than 12000 vehicles ready for leisure or business use. Centauro is represented in the most popular airports in Spain, and also has its own branch office in the major cities. They also have one of the newest car parks, and are renowned for affordable prices and good quality. They provide family-friendly cars, automotive, cabriolet, industrial vehicles, vans and 7 and 9-seat vehicles. Centauro’s rental cars are famous brands such as Ford and Volkswagen. Centauro Rent a Car is a company dedicated to the car rental sector with over 40 years of experience and offices in the most popular tourist destinations in Spain. The main office is located in Benidorm and car rental locations are located in Alicante, Mallorca, Ibiza, Barcelona, Malaga, Valencia, Murcia, Seville, Benidorm and Torrevieja. The car park is renewed every year. Always order as early as possible. In high season there is a struggle for rental cars in Spain. This makes the prices higher, if you book on the Internet as early as possible, chances will be that you will get a hire car from Centauro at a much cheaper price than by booking when you arrive in Spain. Read through the Centauro contract before signing. Is it in Spanish, so ask for it in English. In particular, check with insurance, deposit, and fuel conditions.